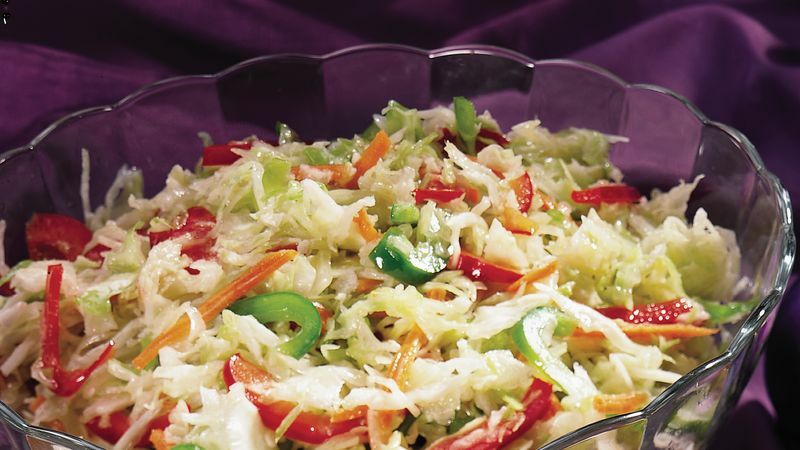 In large bowl, mix coleslaw blend and bell peppers. In medium bowl, mix all remaining ingredients except oil with wire whisk until well blended. Gradually beat in oil until well combined. Pour dressing over salad; toss to mix.